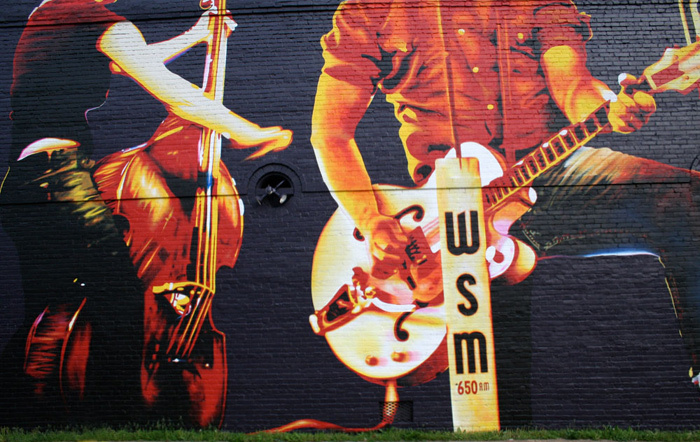 By far the largest painting I've done, the Rockabilly Highway Mural is located on the exterior wall at 124 West Court Avenue and Second Street in downtown Selmer, TN (viewable from Highway 45 south) and is 20-feet high by 120-feet long. 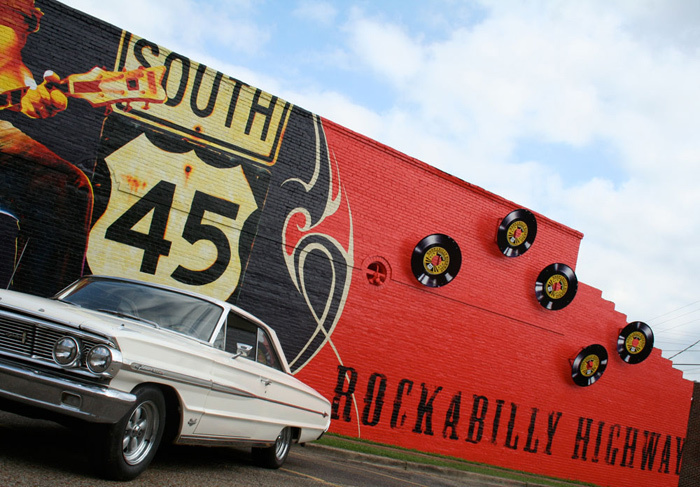 This public art landmark was created in conjunction with the naming of the Rockabilly Highway. It was designed and completed in about 5 months from February-June 2009. The greatest challenges were the elements and having to constantly be aware of proportions. 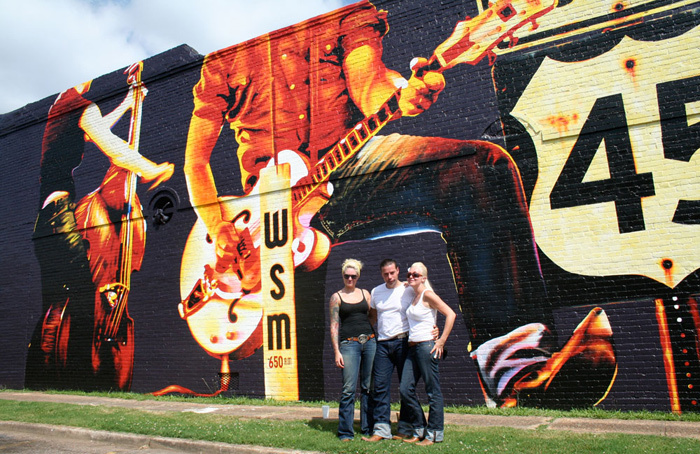 The subjects featured on the wall are Nashville-based Rockabilly group Phil Hummer & The White Falcons (www.philhummer.com).